It is to our great pleasure to inform you, that on December 3th, 2018, Near Space Technologies and OpenSpace Foundation officially signed an intention letter that begins negotiations between our organisations. OpenSpace Foundation leads the first ever Polish amateur CubeSat project. OpenSat project leads by the foundation is a low-cost 1U (10x10x10 cm) CubeSat satellite. Despite small dimensions of the device, the team want to test innovative solutions such as new perovskites solar panels developed by polish company Saule Technologies based in Wroclaw, Poland. OpenSat is the first-ever space satellite project led by amateurs in Poland. The OpenSat consists of young and ambitious people. Despite their young age they already have great successes and experience in near-space endeavours and space projects. The leader of the group is Karol Wojsław, the president and founder of OpenSpace Foundation, as well as an editor at Space24.pl. Manufacturing of mechanical structure for OpenSat satellite both for engineering models as well as flight unit. We are proud of the opportunity to support that ambitious endeavour and would like to thank the OpenSpace Foundation for their trust in our company. In the upcoming weeks, we are going to work on details of the partnership to provide a solid offer that satisfies the expectations of our client. 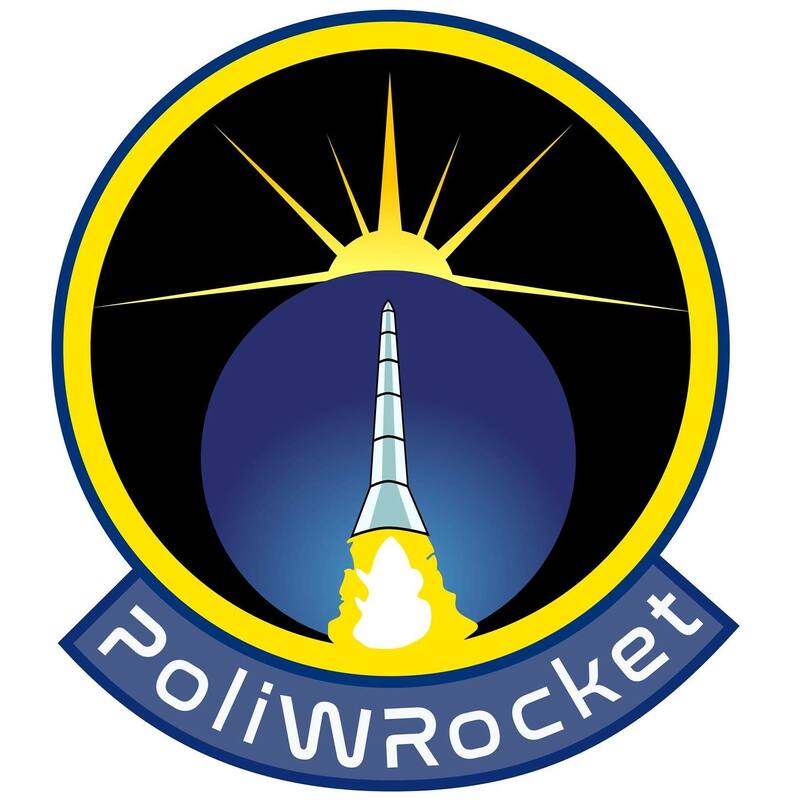 We are thrilled to inform you that Near Space Technologies is now supporting an amazing team of aerospace students from Wroclaw University of Technology, Poland, associated in student organization PoliWRocket. The team is preparing its sounding rocket for 2019 SpacePort America Cup in United States, where it is going to compete with the best rockets from around the world. 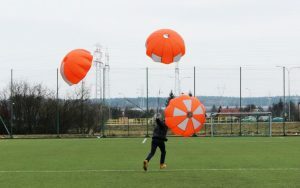 For PoliWRocket project we supported the team with our professional consultations in the field of recovery systems as well as provided two sets of specially designed, custom made clustered parachutes. Our company with great pleasure helps and support student teams, rocketry and near-space endeavours. We believe that young’s people desire to gain knowledge and experience, especially in the field of space and rocketry technologies, will bring us a better future. We are glad that our wide know-how and range of products and services contribute to widening the range of well-educated staff and experts for the polish space sector, as well as open a door to even more advanced rocketry projects in Poland. On June 23th, 2018 Lubuskie Voivodeship hosted The Day of Lubuskie Voivodeship in Zielona Góra, Poland. This event was partially focused on polish space sector due to investments proposed by Zielona Góra City. 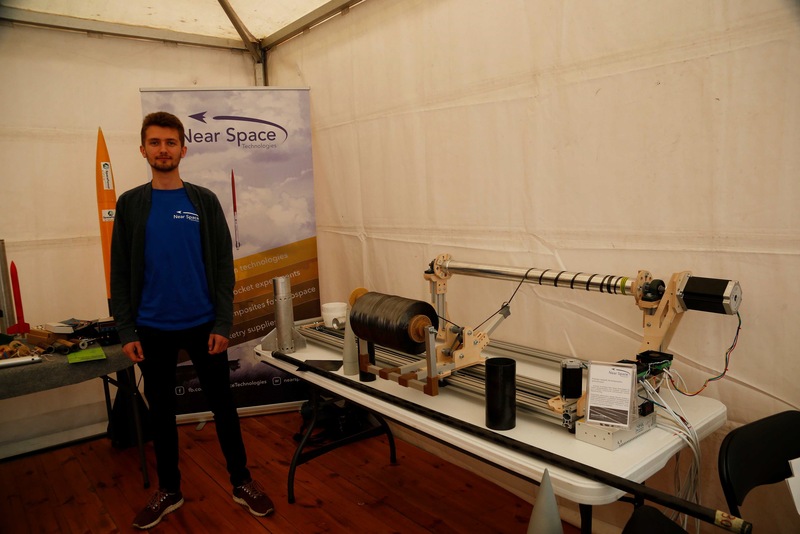 Near Space Technologies took part in the exhibition together with our partners – Spartaqs Ltd, Space Forest Ltd and Polish Rocketry Association. On the exhibition part, we have been presenting our STREGA supersonic rocket which reached the apogee of 4800 meters at Mach 1,65 in April 2015. We also presented the prototype of our new filament winder along with model rocketry parts available in our store. At the event, The City of Zielona Góra organised space focused seminar “Space Regions in the European Economy” where the idea of building Space Technologies Park was presented. Our company expressed its interest in cooperating with this organisation in the field of industrial research and certifying our products for space industry. The seminar also covered law matters that need to be changed in regards to the further development of rocket technologies in Poland. We are thrilled to inform you that in the end of March 2018, Near Space Technologies began its partnership with polish company Spartaqs Ltd based in Katowice, Poland. This partnership is the effect of our common interests in developing new launch systems based on technologies possessed by our companies. 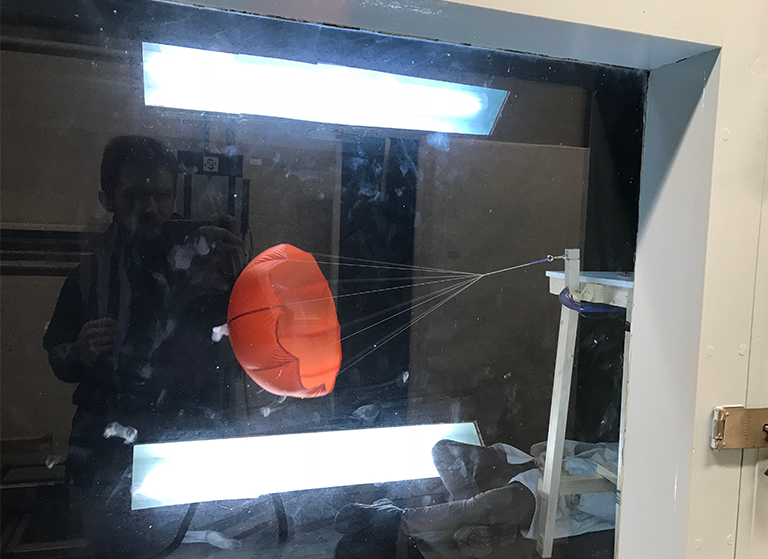 Today, 25th January 2018 our Rocketmania 60 and 100 cm parachutes have been tested in the wind tunnel. The tests were conducted thanks to Kingston University MEng students and the aim was to determine the opening force and drag coefficient for their research on low-altitude sounding rockets. Near Space Technologies is proud to help them with their research. 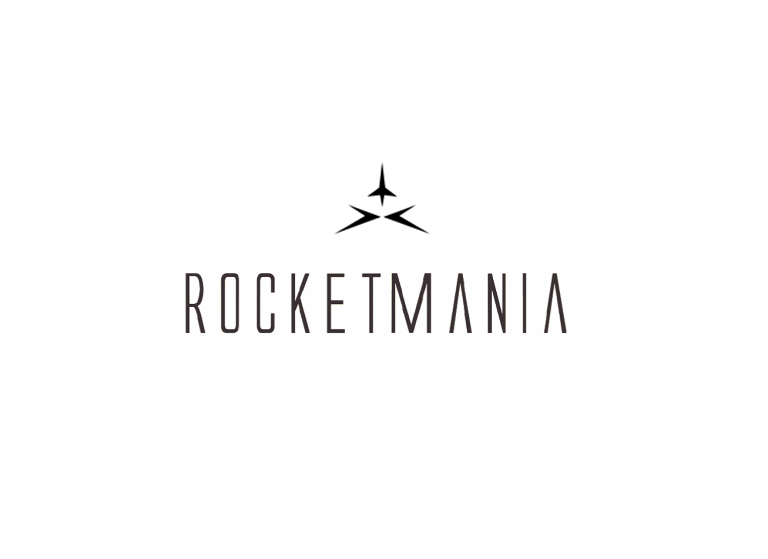 We are happy to inform you, that Near Space Technologies is now officially cooperating with Rocketmania! Together with our polish partner, we are going to provide a wide range of products for model rocketry. Our product-offer will expand of airframe tubes, nose cones, inside rings and parachutes! What is more, as an effect of our cooperation, we are going to provide amazing low, mid and high power rocket model kits available both for the polish and international market. Moreover, for special orders, we can design and manufacture professional recovery systems, drogue and main parachutes for heavy research rockets! In case of individual orders, we work closely with the client to provide the best and safest solutions for your rocket. Rocketmania products will appear in our online store soon!